Michael Ochs Archives/Getty ImagesDirector and former child star Ron Howard is bringing his Beatles documentary — working title Eight Days a Week — to Hulu. This fall after its theatrical run, the film will head to the streaming service, marking Hulu’s first exclusive documentary premiere after a theatrical release. According to Variety, the film highlights the band’s early days, 1962 to 1966, featuring never-before-seen footage. 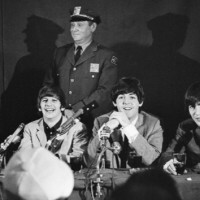 The two surviving Beatles, Paul McCartney and Ringo Starr, as well as George Harrison‘s widow Olivia and Yoko Ono, were involved in the making of the film. Eight Days a Week is Howard’s second music documentary. In 2013, he directed the Jay Z festival film Made in America.